Julius Caesar is Shakespeare’s most political play. He examines whether political assassination can ever be justified, and the effect of this act of violence on its perpetrators. The high ideals of Brutus are tested to the full by the consequences of Julius Caesar’s murder; as is the self-interest of Cassius, whilst in the chaos that ensues, the opportunism of Mark Antony and Octavius is served rather than the cause of freedom. A classic study of power, Shakespeare shows the devastating effect political decisions can have on personal lives. 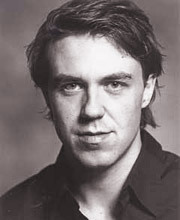 Andrew Buchan graduated from RADA. 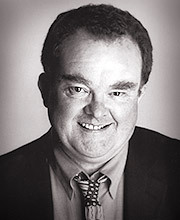 His television appearances include Garrow’s Law, Jane Eyre, Cranford, Party Animals and The Fixer. He has appeared in Nowhere Boy and his theatre productions include Richard II, The Man Who Had All The Luck and Romeo and Juliet. 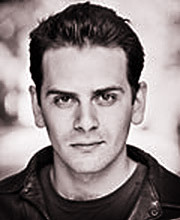 Paul Rhys has worked for the Royal National Theatre in King Lear, Bent and The Invention of Love, and for the Royal Shakespeare Company in Much Ado About Nothing and The Merchant of Venice. 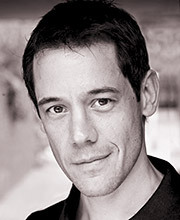 He has also performed across the country in plays such as Design for Living and A Woman of No Importance. His film work includes Chaplin, Little Dorrit and Vincent and Theo and his TV credits include A Dance to the Music of Time and Kavanagh QC. 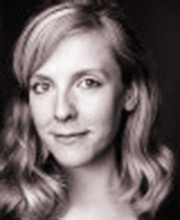 Pip Carter trained at RADA and has worked regularly at the National Theatre, appearing in The Cherry Orchard, The White Guard, Gethsemane, Never So Good and Present Laughter. 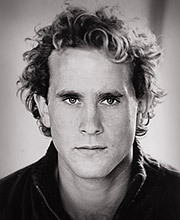 His film credits include The Eagle and Robin Hood, and on television he has appeared in Henry IV, Neverland, Christopher and His Kind, Lewis, John Adams and Party Animals. Harry Somerville has appeared in TV productions for CBBC and ITV as well as theatre, and has recently completed his first short film, Be Blessed, in a lead role. 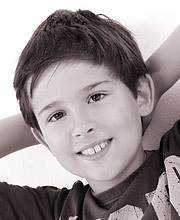 Harry loves reading and listening to books, as well as playing the piano and singing. This is his first reading for Naxos AudioBooks. Joannah Tincey trained at RADA. Her theatre work includes Dot in What Happened is This (The Tron, Glasgow) Marge in Cider with Rosie (UK Tour), Portia in The Merchant of Venice and Lady Jane in He’s Much to Blame (Theatre Royal in Bury St Edmunds). 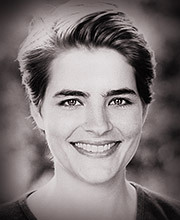 She was a winner of the 2007 Carleton Hobbs Award for BBC Radio and her BBC Radio Drama Company credits include Dr Zhivago and Fortunes of War. 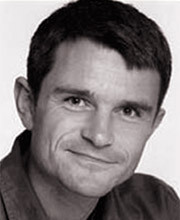 David Antrobus began his career working in radio as a winner of the BBC Carlton Hobbes award. Alongside an abiding love of radio drama, he also works extensively in other media, especially theatre. 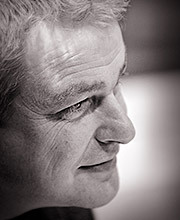 Recent productions have included Once Bitten, Reading Hebron and the premiere of Vaclav Havel’s last play Leaving, all at the Orange Tree Theatre. Charlie Morton’s recent radio productions have included Pandemic and The Archers for BBC Radio 4 and The Marriage of Figaro for Radio 3. 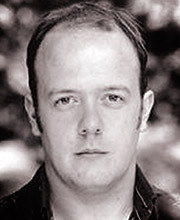 His theatre productions include The Country Wife at the Bristol Old Vic and Translations at The Tobacco Factory. 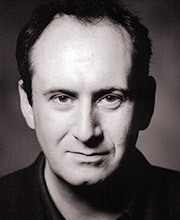 Adrian Grove trained at the Bristol Old Vic Theatre school. He has worked extensively for BBC Radio including Falco, The Archers, The Admirable Crichton and Robinson Crusoe. 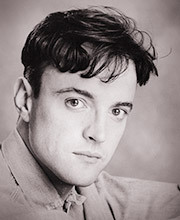 His theatre credits include Clyde in Dying Breed and MacHeath in The Threepenny Opera at Bristol Theatre Royal, Martin in Newfoundland at Bath Theatre Royal, Arkady in A Month in the Country at the Tobacco Factory, Bristol and Cougar Glass in Fastest Clock in the Universe at the Alma Theatre, Bristol. His film credits include Chris Boardman in The Flying Scotsman (MGM Films) and his television credits include John Nolan in Casualty. He has read several audiobooks. 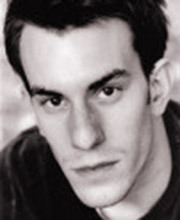 In 2008 he won the Stephen Sondheim Performer of the year award. 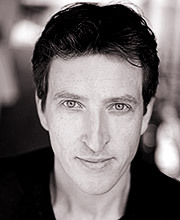 James Phelips trained at RADA. 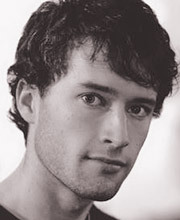 His theatre work includes Pericles at the Rose Theatre and Savages at the National Youth and Royal Court Theatres. In this classic play, Brutus grapples with his own loyalties – is he devoted to Rome or to Caesar? How best to serve one’s homeland? This production works a kind of magic, lending realism to the struggles within. Ambient background noise creates three-dimensional scenes without overwhelming the actors, whose understanding of the material makes the timeless prose contemporary. The play offers a fast pace; thankfully, the performers’ phrasing and superb enunciation keep the listener close. Especially enjoyable are the moments that have transcended time to remain a part of our language and culture. For example, we are reminded that ‘[c]owards die many times before their deaths; the valiant never taste of death but once’. The year 1599 was a significant year in Shakespeare’s development as a playwright. He began the year writing Henry V, and ended it with the first draft of Hamlet. The play that links these very different plays was Julius Caesar. This was written, it would seem, for the opening production at the newly-built Globe theatre. 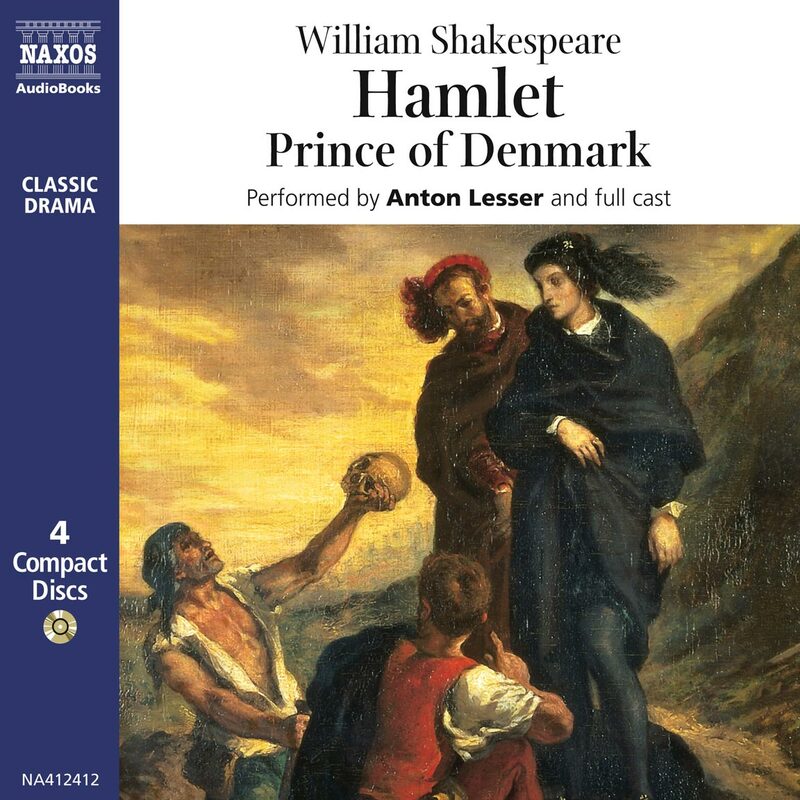 Like Henry V it deals with political ambition, but in the probing soliloquies of Brutus it anticipates Hamlet. Caesar’s life seems to have dominated Shakespeare’s thinking in 1599 as he refers to him in Henry V, and also cheekily in Hamlet, when Polonius claims to have acted the part of Caesar, a recognition by Shakespeare of his play’s incredible popularity. The source for the plot of Julius Caesar is Lord North’s translation of Plutarch, the first century (CE) historian’s account of the ‘Lives of the Noble Grecians and Romans’ first published in 1579, but re-published many times subsequently. Shakespeare took material from Plutarch’s lives of Brutus, Caesar and Mark Antony, all of which include differently presented accounts of Caesar’s assassination. Shakespeare used these different aspects to create the compelling scene in the Senate. 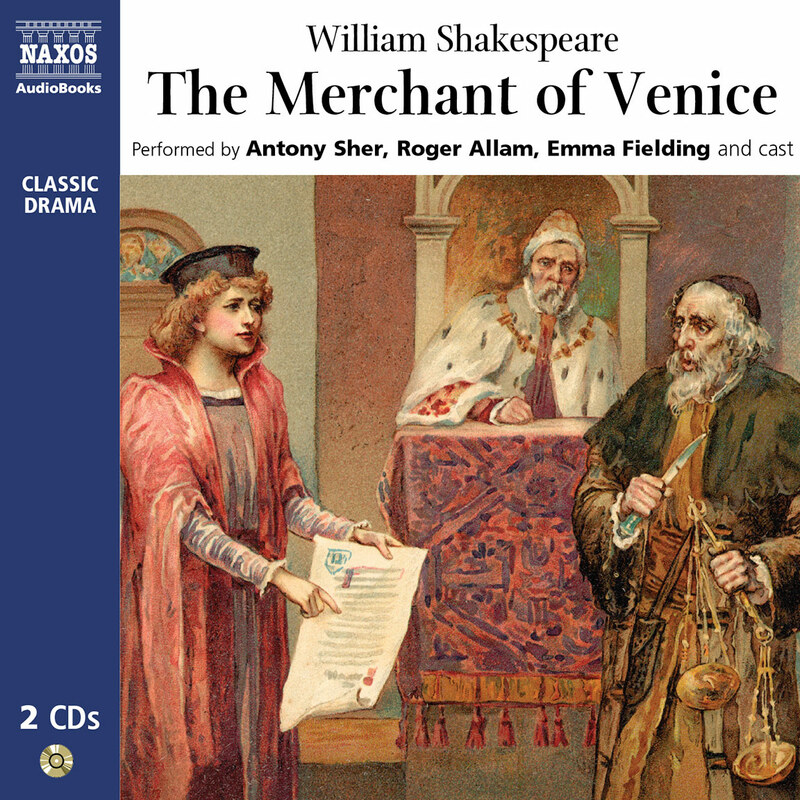 Reading North’s translation alongside Shakespeare’s adaptation gives us a fascinating insight into Shakespeare’s working practice, for it reveals that he converted North’s prose into blank verse often with only minimal alterations. In Antony and Cleopatra, which also uses Plutarch as a source, Shakespeare’s description of Cleopatra’s barge by Enobarbus is reproduced virtually word for word from North’s translation. 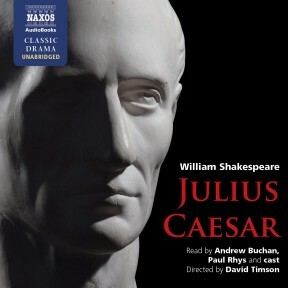 Echoes of North’s vocabulary and phrasing appear throughout the Roman plays, but it is Shakespeare’s deeper examination of the psychology of the main protagonists in Julius Caesar, and his development of the Plebeians and their attitudes to events, (not present in Plutarch), that takes Julius Caesar beyond its source material. Just as he had done in his History plays, Shakespeare shows in Julius Caesar his interest in political ideology, and what it reveals about human nature. He examines the problems of power and rule; the conflict that results when ideologies and ambitions clash; and the conflict between politics and personality: the public and the private. 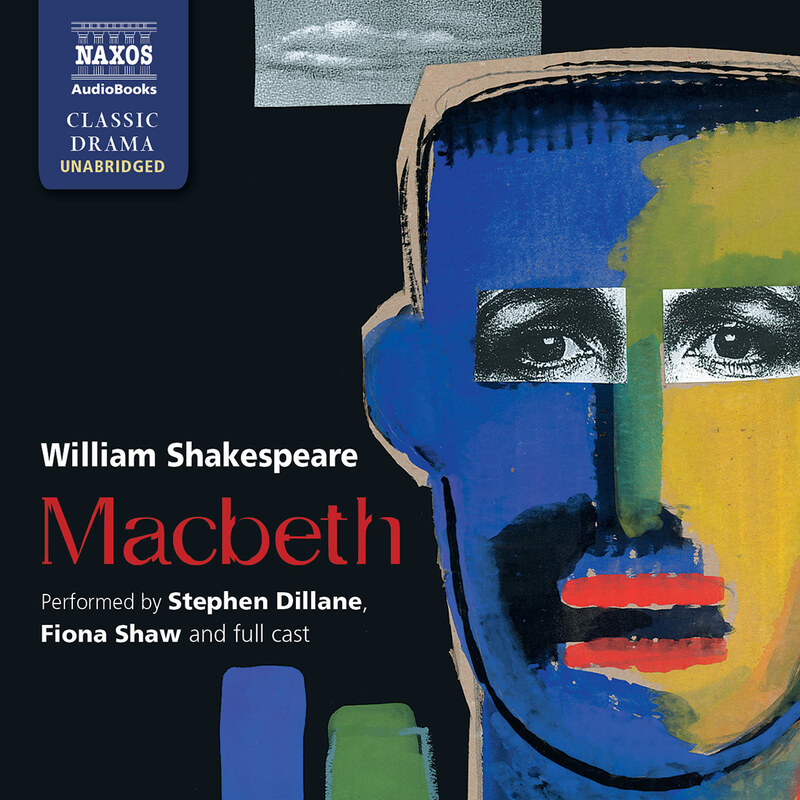 Shakespeare examines how a politician resolves the conflict that the pursuit of an ideal creates in his personal life: how does one keep human emotions at bay when dealing with the larger prospect of ruling of a country? And what are the personal costs if you succeed? Thus we see Caesar balancing his public rule with his private life – he refers to himself in the third person, detaching his public persona from his private one. The strain this causes him, for instance when he has to put aside his feelings for his wife Calpurnia after she expresses concerns in opposition to his duty, fascinates Shakespeare. He does not idealise Caesar, but looks beneath the public persona at the physical infirmities (deafness, falling sickness) that are beginning to weaken Caesar’s hold over Rome; perhaps, if the conspirators had not been so impetuous, nature would have done their job for them. But Caesar’s power proves greater in death than in life, his murderers are literally haunted by his spirit. Shakespeare uses the supernatural in this play to show that a man’s destiny is not necessarily in his own hands, contradicting Cassius’s assertion in Act I sc. ii that ‘The fault…is not in our stars, but in ourselves, that we are underlings’; some things are outside man’s knowledge or power, and are controlled by the uncertain and the unknown. Caesar has attempted to be everything to all men by including the sensual Antony as well as the stoical Brutus in his team, and offering an open hand to Cassius, a difficult man, Caesar’s antithesis, who is not naturally a member of anyone’s team. Caesar has also won over the populace, and, as his will shows, intended to give them generous gifts for their support. However, success breeds arrogance and the play starts with Caesar considering whether or not to declare himself King and so become a dictator, thereby destroying the much-prized Roman Republic. He is tempted to put the personal gain of ultimate power before the Republican ideals for which he had fought his campaigns and which matter so deeply to Brutus and Cassius. To be a true Roman was to perpetually seek your country’s well-being; sacrificing yourself for the cause of Rome by serving in its wars or government was the ultimate heroic triumph of idealism over human frailty. The desire to be honourable in this way is the essence of Brutus: it runs his life, it is his immovable philosophy. Cassius, on the other hand, believes that a republican way of life must be seen to be active in Rome; where free men may walk and talk openly as equals. It is the threat of the loss of this freedom that motivates Cassius. Caesar, on the brink of destroying Rome’s traditional rights by tyranny, must be stopped. But here the human element once again surfaces – Cassius is bitterly jealous of Caesar’s success and hates him for it at the most fundamental level, revealing ignoble and un-Roman emotions, such as jealousy and hatred, dangerous ones on which to build a lasting political reality. Cassius’s motivation for killing Caesar is personal enmity, but for Brutus, halting Caesar’s ambitions must be ethical – any action must be seen to be honourable. It is this mantra of Brutus’s honour in all things that he tries to instil into his fellow conspirators without success, and which restricts him to the role of passive thinker rather than man of action. This obsession is a knot that tightens as the action is played out, and is never resolved. Brutus is an intellectual (like Hamlet) though politically naïve, and cannot in the end reconcile the personal and the public. He is also proud and subject to flattery and this overpowers his reason and leads him into Cassius’s net. In his orchard soliloquy Brutus deceives himself into accepting the idea of the conspiracy. He begins by stating that Caesar is well-balanced enough (‘the thing he is’) not to be corrupted by being made king, but then follows this with ‘what-ifs’ and ‘possibles’ which might lead to the likelihood of Caesar resorting, like the new-born serpent, to ‘his kind.’ Out of these suppositions and faulty reasoning Brutus determines his future course. Once he has committed the act of violence, Brutus’s high-mindedness becomes irrelevant: he has ceased to be honourable. Only later in the play does he come to realise that he and Caesar, the slayer and the slain, were so alike in their vanity and pride that perhaps the assassination was pointless. Like replaced like. Brutus ends as he began, with no development beyond acknowledging, at Philippi, his failure to uphold his honour. The assassination changes Antony too. Despite his brilliant and devious oration in the Forum over Caesar’s body, Antony is nevertheless on a steep learning curve. Never having shown any interest in politics while Caesar lived, he is now forced to adopt responsibility for Rome to justify his friendship with Caesar. He responds to the assassination with no lofty aims, it is pure revenge he desires and skilfully contrives to get. In contrast, the young and ambitious Octavius sees his opportunity in the death of his uncle and seizes it with both hands, displacing Antony as decision-maker, absorbing Brutus’s followers into his team, and pursuing a route that ultimately leads to his dictatorship of Rome as Emperor, after Antony’s death in Egypt. 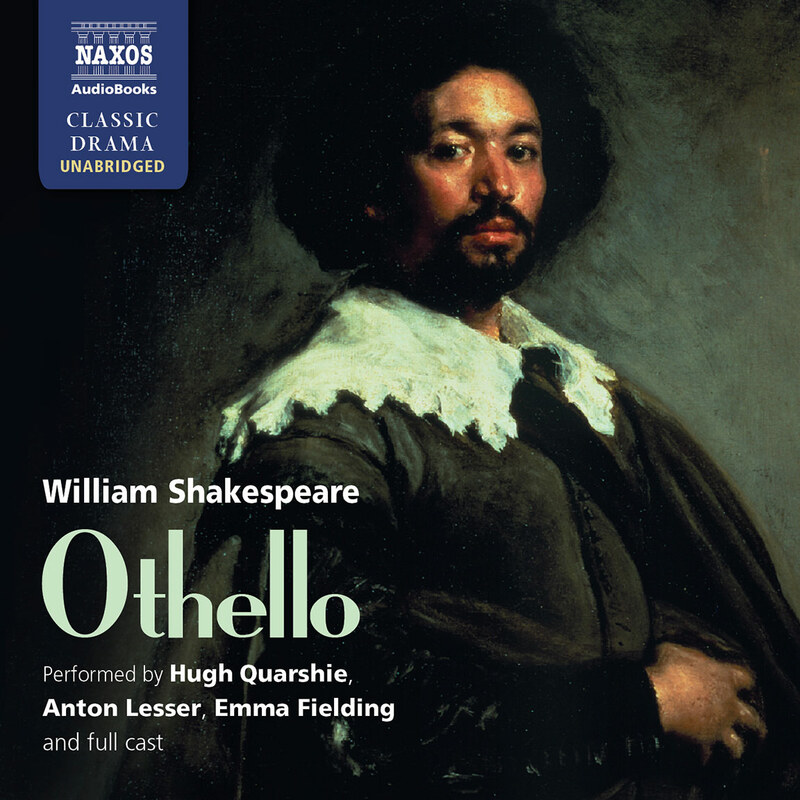 Octavius is the most successful politician in this play: icily moving with the precision of a chess-piece, he has successfully subdued the personal for the public life. Shakespeare carefully constructs his play to bring out this theme. Julius Caesar is a play of two halves. There is a distinct difference between the first three acts and the last two. The first section is the planning of the conspiracy, the political justification for it, and its violent climax in the assassination of Caesar. Once their leader is removed, the Roman plebeians run madly towards destruction, symbolised by the pointless killing of Cinna the poet. The end result of the conspiracy is not political freedom, but chaos. 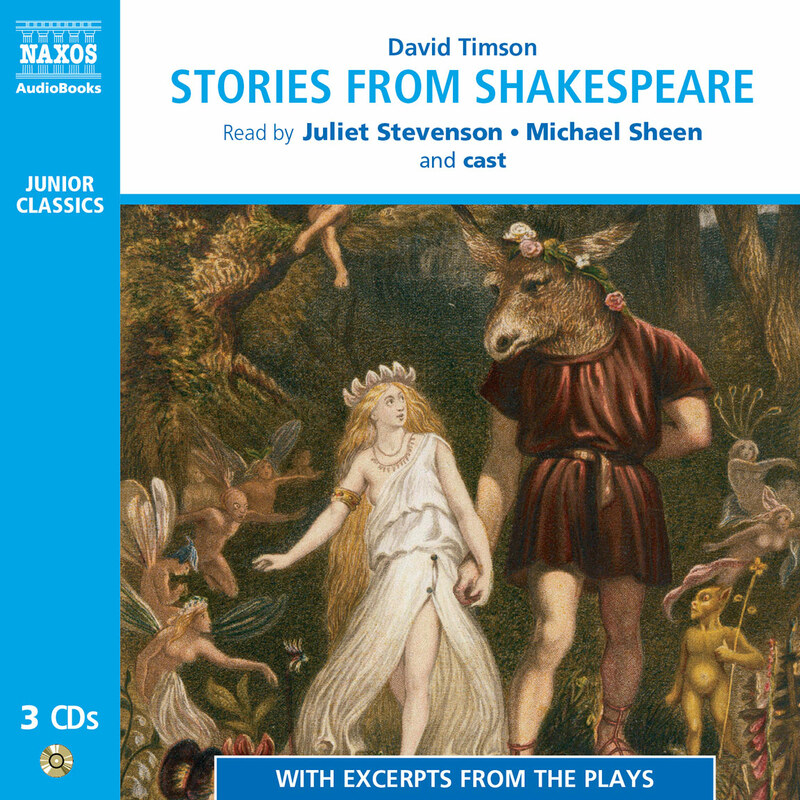 In Part Two, Shakespeare shows how the inmost natures of the conspirators have been corrupted and warped by their violent act. The violence has rebounded upon themselves and the importance of the quarrel scene (Act IV sc. iii) between Brutus and Cassius reveals how deep this fragmentation of noble natures, trust, and honour, has gone. Can a politician ever separate his public persona from his personal traits? Can a weak man govern well despite his weaknesses? Can a good man retain his goodness and yet still be an effective politician? What effect on one’s humanity does being a public figure have? Is it possible to sustain a high level of ethical practice and still govern well, or is compromise inevitable for a politician? These questions fascinate Shakespeare. He shows the human side of great men in Julius Caesar, more than in any other of his political plays. He gives us moments of pure humanity to set against the thrust of the politics: the love of Brutus and Portia; Brutus’s tenderness to his servant Lucius; Calpurnia’s love for her husband Caesar; Antony’s heart-felt grief at his friend Caesar’s death; Brutus and Cassius’s quarrel, showing their vulnerability and the power of friendship in their open reconciliation, as well as many small and not to be overlooked moments involving the minor characters. There is a sense of naturalism here: Shakespeare is eager to show there is love and humanity in Rome, alongside the rhetoric. It is impossible to know where Shakespeare’s own sympathies lay in this political conundrum. Was he a republican or a monarchist? He is fair to both sides, neither condemning Caesar outright, nor being unsympathetic to Brutus’s dilemma. If anything though, it is more The Tragedy of Brutus than The Tragedy of Julius Caesar, and our sympathies finally lie with him and his lost cause.